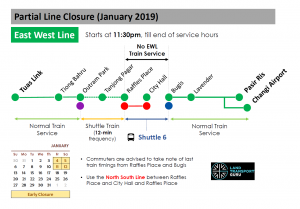 Shorter operating hours along the East West Line (EWL) between Raffles Place and Bugis will take place on selected Fridays & Saturdays in January 2019 to facilitate maintenance works to be carried out in the EWL’s railway tunnels near City Hall MRT station. This will involve early closures along the EWL. 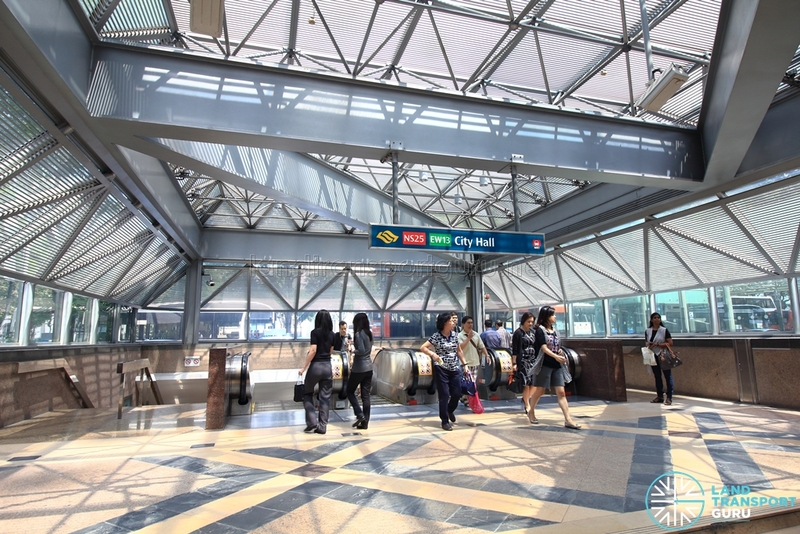 A Shuttle Train Service will operate between EW16NE3 Outram Park and EW14NS26 Raffles Place at around 12-minute intervals during the periods of closure.